(March 28): Most emerging Asian currencies on Tuesday fell from multi-month highs the previous day as the dollar gained back a bit of strength and traders took profits on regional units. The dollar recovered from a four-month-low as anxiety over Donald Trump's setback on healthcare gave way to tentative hopes for the US President's planned stimulus policies. "Today is a day of reflection and consolidation," said Stephen Innes, senior trader at OANDA, adding that there were waves of profit-taking. Technical indicators such as the Relative Strength Index showed the Taiwan dollar, the Indian rupee and the Thai baht are in the overbought zone and a few other currencies near that zone. The Malaysian ringgit declined on weak crude oil prices which were hovering near a four month low, while the South Korean won which fell earlier on the day on dollar short covering, recovered later. The Philippine peso was slightly down, due to dollar demand from corporate and foreign outflows from the equity markets. Foreigners have net sold about US$130 million in Philippine equities, according to the exchange data. Markets in India and Indonesia were closed for public holidays. The dollar index was up 0.1% on Tuesday. It has fallen nearly 3% this month. If it declined another 2%, that would take it to levels before Donald Trump won the November election to be US president. With collapse of the healthcare legislation late last week, doubts have emerged about whether Trump can pass his other reforms such as tax cuts and infrastructure spending, the bets on which the dollar rose sharply since November. While two more likely Fed rate hikes this year are expected to support the greenback, some analysts said the rate hikes are not a certainty with mounting risks ahead. Given political uncertainty, a rate hike in the United States in June is not guaranteed, and "that favours the emerging market currencies, especially the high yielders," Innes said. On Wednesday, British Prime Minister Theresa May will formally notify the European Union of Britain's intention to leave it, triggering Article 50 of the Lisbon Treaty and launching two years of unprecedented negotiations. 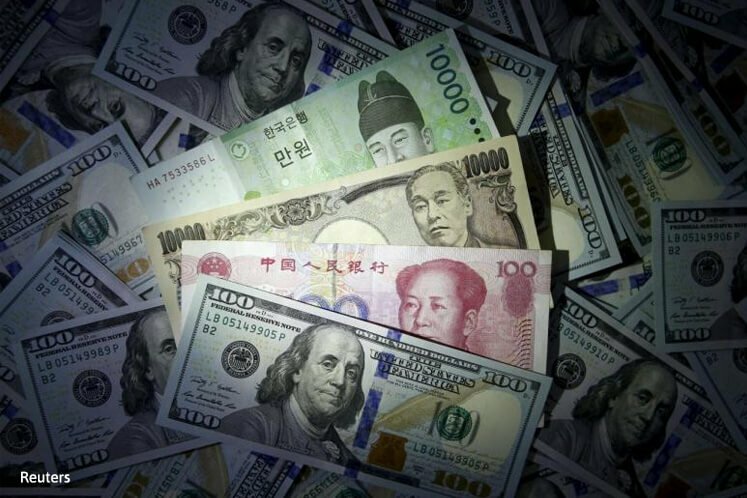 However analysts said its impact on emerging Asian currencies would be small. "EM Asia currencies are not expected to be knocked back in 'risk off' moves," Mizuho senior economist Vishnu Varathan wrote in a note. China's yuan fell 0.12% to 6.8843 per dollar. While other emerging Asian currencies have been volatile in line with dollar movements over the past few weeks, the yuan has been resilient. The 3-month volatility of China's yuan stood at 3.8% on Tuesday, the lowest among the emerging Asian currencies. "Yuan is relatively steady, ahead of the release of U.S Treasury FX report" said Qi Gao, FX strategist for Scotiabank in Singapore. The US Treasury's next report on the issue is due in April. It is awaited to see if any country will be labelled a currency-manipulator.